Yesterday in one of Yoshkar-Ola’s central squares, numerous protests were held. 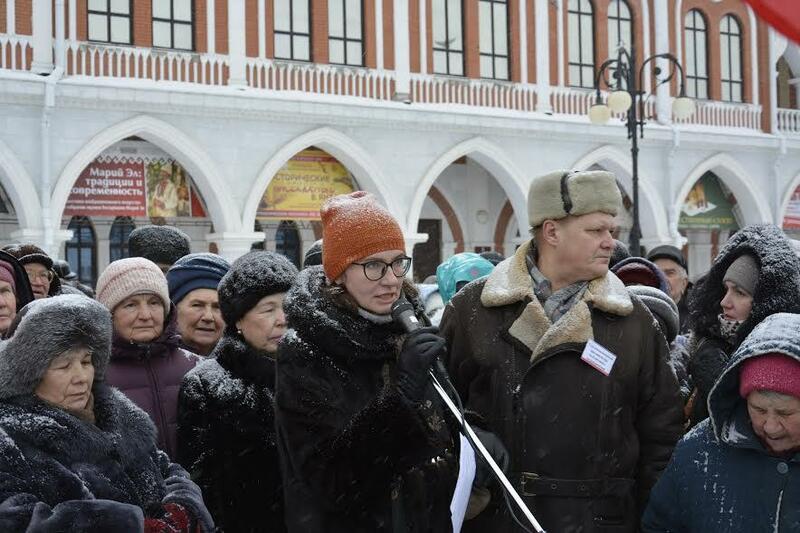 Protesters from Yoshkar-Ola, as well as residents from other municipal districts of the republic, demanded the resignation of the government of Leonid Markelov. The head of Mari El, Leonid Markelov, seems to have ushered in social revolt. Yesterday in the center of Yoshkar-Ola in front of the government building, numerous protests were held against the abolition of social benefits and the increasing cost of utility bills. The background to these protests was a “Christmas gift” that the State Assembly of Mari El recently presented to residents of Mari El, passing a handful of laws depriving the most disadvantaged groups – children and the elderly – benefits, including the right to a reduced fare on public transport. Outraged by such “open robbery,” the residents of Mari El attended the protest and broadcast their frustrations about the policies of Leonid Markelov’s government over a microphone. A decision was made to begin collecting signatures from the residents of the Republic of Mari El to abolish the laws that have deprived people of legal benefits and to restore social justice. In addition, those gathered passed a resolution issuing a categorical protest against the policies of the national government, which have led to the further liquidation of social guarantees, benefits, and labor rights. The view was expressed that the government of the Republic of Mari El has demonstrated its lack of professionalism and complete inability to carry out constructive work. Consequently, the protestors demanded the cancelation of compulsory taxes for the overhaul of housing, the return of social benefits, the reduction of the price to travel on public transport and taxis, as well as tariffs for utility services, and, last but not least, the resignation of the government of Leonid Markelov.